The LONGINES GLOBAL CHAMPIONS TOUR returns to Lausanne, the ‘Olympic Capital’, for the third season in a row, from the 12-14th September. This gorgeous city with its medieval town is home to a number of prominent international sporting governing bodies, including the International Olympic Committee (IOC) and the Fédération Équestre Internationale (FEI), as well as over 50 international sports organisations. 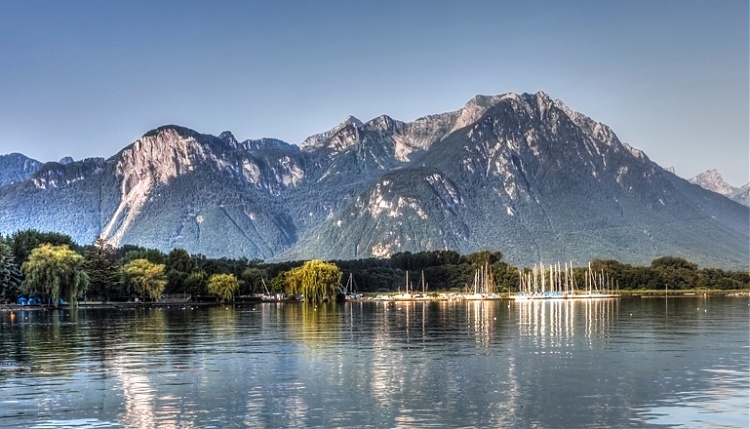 Nestled on the edge of Lake Geneva, looking out on of picture-perfect Alps, Lausanne is a charming location for the twelfth leg of the 2014 series. An imposing gothic cathedral provides a dramatic centre piece to this hilly city which sweeps down to the lake’s shore, where the hub of many of the activities on offer are to be found in this Mecca for sport. Alternatively there are museums, most notably the Art Brut collection, as well as a busy artistic calendar of events throughout the year. The architecture is a fun myriad of elegant, evocative styles, Flon in particular stands out for its rejuvenated warehouses, now trendy shops and bars, that are well worth a visit. Lausanne is a firm favourite on the Tour calendar because of the beautiful location and the international sporting heritage which envelops the area. Last year’s Grand Prix of Lausanne saw USA’s Lucy Davis become the youngest ever winner of a Longines Global Champions Tour Grand Prix at 20 years old. With the promise of more exciting world-class competition in the home of international sport, Lausanne 2014 is sure to be a key event.